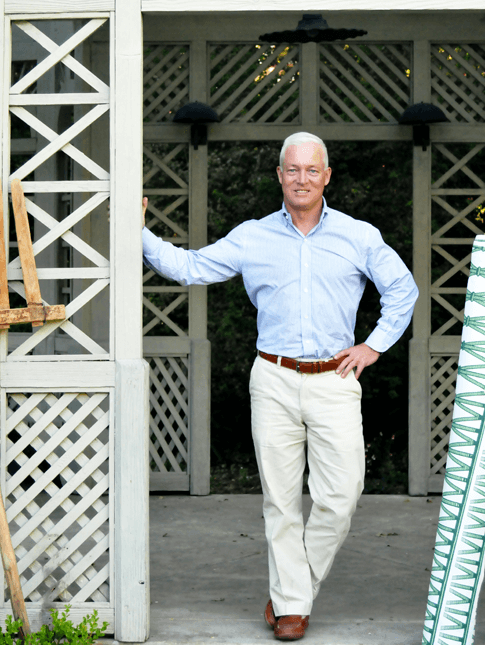 Educated in horticulture at Michigan State, John R. Roberts's aesthetic is rooted in the garden. He was first known for his innovative floral designs that captured the attention of celebrity and corporate clientele, leading him to create design work for Showcase Homes, major movie premieres and national magazine covers. For over 16 years, his specialty retail store in La Canada Flintridge, CA; complete with an in-store bistro, captured national recognition for its creative approach in blending flowers with interior furnishings, forecasting the home entertaining lifestyle concept. He was first enticed into the interior design scene when asked to design restaurants that shared his “out of the box” style. His innate sense of color caught the attention of major development firms seeking his talents. He established the JRR Design Firm in Pasadena, California in 2003. With an expanding portfolio of residential projects, The JRR Design Firm specializes in a comprehensive approach to all aspects of a project from conception to completion. John’s influence translates into architectural design, materials and finish details, interior furnishings and often extends outdoors to his expertise in landscapes. “It is a series of layers,” John explains, “which creates a comprehensive design. Understanding how all of those layers work together is our forte.” The result is creative living spaces that are not only aesthetically pleasing, but also functional for clients’ everyday lives. In 2017, John created Horticulture House, a textile collection of garden-inspired patterns silk-screened on Belgium linen. The launch of a retail commerce site in 2018 bearing the same name will bring his design career full circle, once again offering his creative designs to consumers.